This is my first time trying Skin79 BB cream as well as a shimmery type. I'm glad I did because the experience is so much difference than regular BB cream. +The texture is soft as a mouse. It's very light and goes on skin smoothly. +Great for taking pictures. Take a look at the pictures below. My face looks really bright and glowy due to the shimmery effect. -A bit too oily. I have combination skin and I had to blotch my t-zone several times more than I normally would have to. -Coverage is medium. It does not cover all my blemishes compare to other bb creams. -Too shimmery for everyday look. I'm a matte girl. 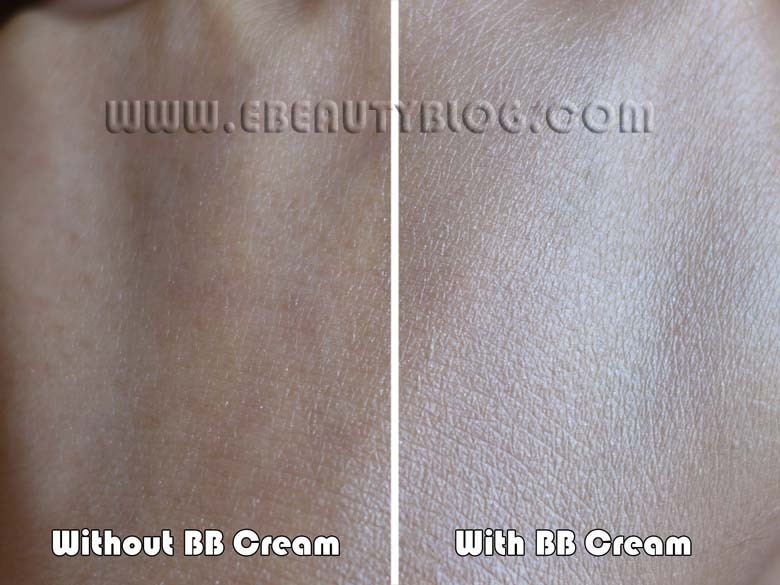 Although it's fun to be bright and shinny once in a while, I found this BB Cream not suitable for everyday wear. i've only tried the skin79 hot pink one before, this one looks so good! it really does make your skin look so glowy, very nice! Twin gorgeous looking girl! you are so pretty! Your skin is glowing and not the "vampire-ish" type! But just a healthy glow that spells GORGEOUS SKIN!!!! I didn't know that shimmery BB creams are available, but this sounds perfect for me. The shade looks good too. I have a question for you: what type of bb cream would you recommend for me? I REALLY, REALLY want to try one out, but I'm not sure which one to get. I have combination skin, and I'm looking for something paraben and talc free...that I can order in America! Does that even exist?? I got this pearl BB cream too as part of a sample 4-pack of different Skin79 products. Ladies, I recommend doing this if you're not sure which cream you want as you get 4 different types in small tubes. I saw very positive reviews for many of these creams on Amazon, so it made it hard to decide which one I wanted and which might be the best for blending with my skin tone, but with this sample, I can try all 4 on different days and choose the perfect fit for me. I got the sample gift pack on eBay, for less than $10, from a seller named rubyruby76. Anyway, this pearl BB cream has its pluses and its negatives. What I don't like about it is that it doesn't stay on very well. It's pretty, but unfortunately, it comes off too easily. I was bored at work and rested my face on my hand (about 6 hours after applying this, mind you) and when I took off my hand, it was all glittery. I tried the super plus VIP gold cream today and I like it much better, as it has more staying power and has medium coverage unlike the pearl BB cream which doesn't cover redness very well as it's not very thick. I have yet to try the Skin79 oriental gold and the super plus hot pink versions that were included in my sample pack, so I cannot say for sure that the super plus VIP gold is the winner just yet. 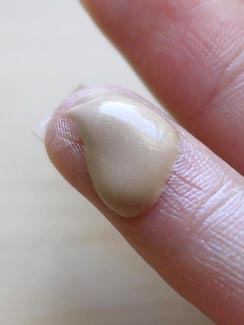 I think the pearl BB cream would look nice on top of another matte, dull BB cream or if you choose to use foundation instead of a BB cream, then on top of your foundation to give you a glow, but if you're relying on the pearl to provide good coverage and to stay there even when you're getting kissed or caressed on the cheek, then think twice, and good luck. I will say that it would be nice to use on those days you don't care about wearing too much makeup (like on the weekends when you're not trying to impress anyone) as it's light enough to look as if you're not wearing makeup. I just wish it would stay on the skin better as I love shimmery blushes, eyeshadows and foundations. I think the glittery particles make you look younger, and more youthful. Also, the color on the super plus gold is more of a beige, so it blends better with my skin tone, although I am quite pale, I just happen to have some yellow/olive tones to my skin as I am Mediterranean (I wish the super plus came in a shimmery version, it might convince me to buy it in a flash!). The pearl cream is rather milky and white, and someone at work commented that I looked like a porcelain doll (not sure if that's an insult or a compliment). As I have said, I suggest you don't shell out $15 or whatever it costs for a large container of one BB cream without trying others, as you may decide you don't like it, and what better way to sample a large selection of their products than to buy a small sample pack? 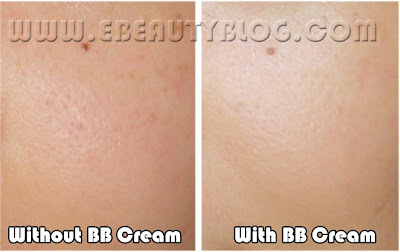 Beware of fake BB creams though, as some people have purchased counterfeits on eBay, which gave them awful rashes. I know this seller is reputable because she has lots of positive feedback and she has been recommended by several beauty product reviewers on the internet, and they all know what to look for in the real versus fake products and these are authentic. I have somewhat dry yet very sensitive skin that breaks out with sunblock and most foundations but so far, on day 2 of trying the Skin79 products, no breakouts or dermatitis.